As a home or business owner, keeping up with Carpet cleaning in Colorado Springs can be a difficult task. But, local company High Performance Carpet Cleaning and Restoration is veteran-owned and operated by Jerry Woolfolk, and his wife, Stephanie. And, this local company does not hire sub-contractors; but employs a team of IICRC (Institute of Inspection, Cleaning and Restoration Certification) certified cleaning technicians who are licensed and insured. Service trucks are equipped with environmentally-safe detergents. Experience the difference and reward yourself with a reliable and professional company. At High Performance, carpet cleaning in Colorado Springs is our business! Our business foundation is built on old-fashioned core values like Integrity, honesty and respect. With High Performance Carpet Cleaning your decision is easy! We offer a variety of residential and commercial services such as carpet and upholstery, tile and grout, air ducts, dryer vents, area rugs, and emergency water extraction. 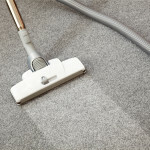 When searching for quality carpet cleaning Colorado Springs residents can rely on us. High Performance Carpet Cleaning, LLC is a Clean Trust Certified cleaning company that works hard to provide the professional cleaning service. 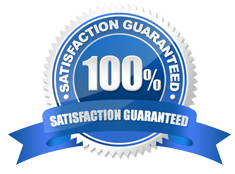 Our business model is simple; no gimmicks just fair pricing and superior cleaning.